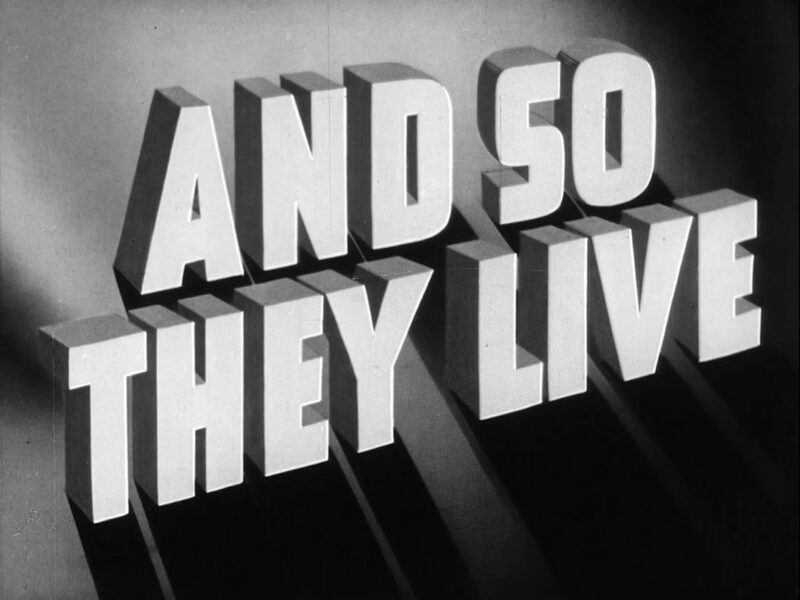 Co-directed with Dutch filmmaker-photographer John Ferno, And So They Live (1940) is Julian Roffman’s formally credited directorial debut, and was produced for The Educational Film Institute of New York University and the University of Kentucky, and documents the spartan lives of an isolated Appalachian community as they survive a harsh winter. The doc’s through-line follows the oldest kids of a 7 member family as they head off to school and learn literature and life in other lands in a rustic single room schoolhouse. In the morning, the kids trudge through a thick blanket of snow to class, while the mother cooks at home, and the father hacks away desiccated corn stalks for the (presumably) approaching springtime. Tangential vignettes show another family rendered homeless by a still-burning fire that’s consuming their ancient timber home, and the rusting lumber mill – really a small sheltered saw and steam engine – whose use was diminished after the original European settlers clearcut prime timber to oblivion. Poor stewardship of the land due to ignorance is the underlying critique in the doc, whereas education is the saviour of the town’s future. Narrator Storrs Haynes points out how clearcutting ruined a once profitable local industry, and zero crop rotation’s transformed fertile land into useless dirt, which yields less each year because farmers rely on two singular crops: corn and potatoes. A lack of fresh vegetables and fruits plagues kids with assorted ailments – rickets, pellagra, dysentery – and the narrator cites their repetitive diet of pork fat, cornbread, potatoes, and berries as chief causes. Amid these dour segments are small moments which show the humanity of the family: students reading paragraphs from a book that’s passed and shared person-to-person; lower grade students hurrying to the front row where the teacher uses simple drawings to explain different cultures in Holland and Austria; and the kids having lunch carried in repurposed lard pails. Even the concluding dinner scene with the family in their drafty home feels warm as food’s offered and shared. It’s a film filled with contrasts, of which the starkest has the family’s youngest boy ‘rewarded’ with a cigarette after he’s danced a jig to his father’s banjo. Three scenes have loose sync sound – the schoolhouse lesson, the father reflecting on his poor corn crops, and the banjo scene – whereas the rest have loose dubbing and light foley. Lee Grön’s lone film score maintains a melancholy tone which suits the drama and supports the striking B&W cinematography. And So They Live was restored by the National Film Preservation Foundation, and is available for streaming & download from Archive.org. John Ferno’s other North American film is WWII propaganda film The Dutch Tradition (1943), made for the NFB. 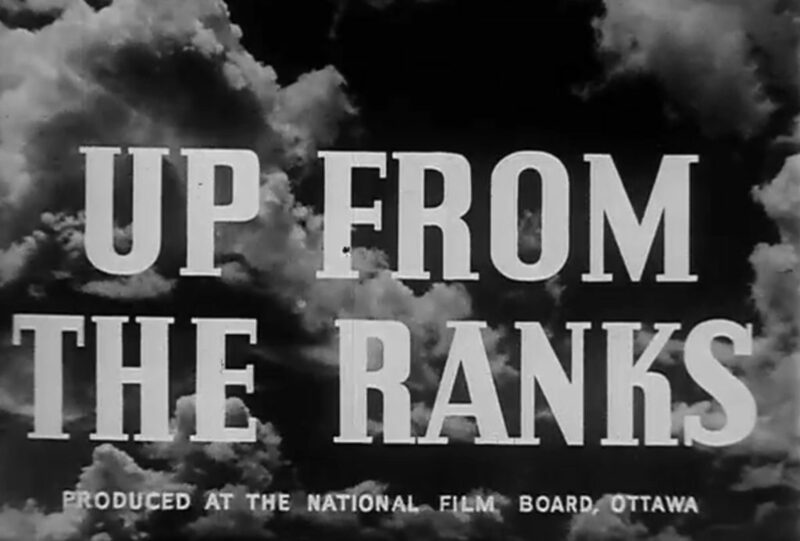 What’s essentially a straightforward propaganda film for recruiting officers for the Canadian Army, Up from the Ranks (1943) is an episode of the NFB’s Canada Carries On series, and loosely follows four men as they learn physical combat, marksmanship, tackling diverse terrains, and more cerebral skills of problem solving, absorbing liberal philosophy, and self-betterment for the benefit of the group. Roffman (uncredited in the films titles) structures the film around several informal gatherings of the friends, mostly in their barracks where they pontificate, kid around, or recall the day’s activities. The narration ties the material together by explaining What You Must Do, as the men are trained and indoctrinated for the officer’s academy, but the real attraction to the doc is Roffman’s heavily detailed coverage: there’s no doubt cameramen were running around getting as much material as possible to give the editor enough continuity, but barracks scenes aside, much of what’s shown are snappily edited montages with fast cuts on movement, sometimes repeating leaping bodies and airborne vehicles but rarely repeating the same footage and angles. It’s a slick short that contrasts the recruits’ anticipation and angst with fast action montages, and culminates with a convocation ceremony where men from all walks of life – baker, farmer, artist, doctor – stand proud in one rank. Theatrically, Ranks was distributed by Columbia Pictures, but a SD transfer of the short is available from the NFB’s site for streaming. Also available from the NFB for streaming is the 2 min. 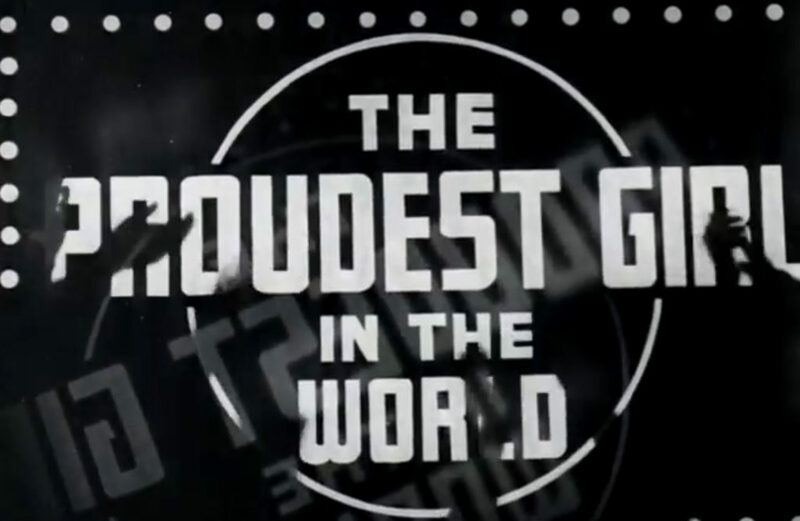 musical number The Proudest Girl in the World (1944), which in contemporary eyes is exceptionally quaint: uniformed women proclaim their pride in serving their country and engage in a call & answer challenge with civilian ladies from various walks of life. The potential recruits are enticed with promises of rewarding jobs in geography, sciences, and more, and the piece ends with the civilians marching into a giant logo and emerging on the other side fully uniformed. Considering the piece’s low budget, single set, and a decent group of extras, Girl bubbles with energetic edits and Hollywood-styled rows of singing ladies and a forceful, grandly smiling leader, and the stark lighting provides some striking close-ups during the call & answer moments. 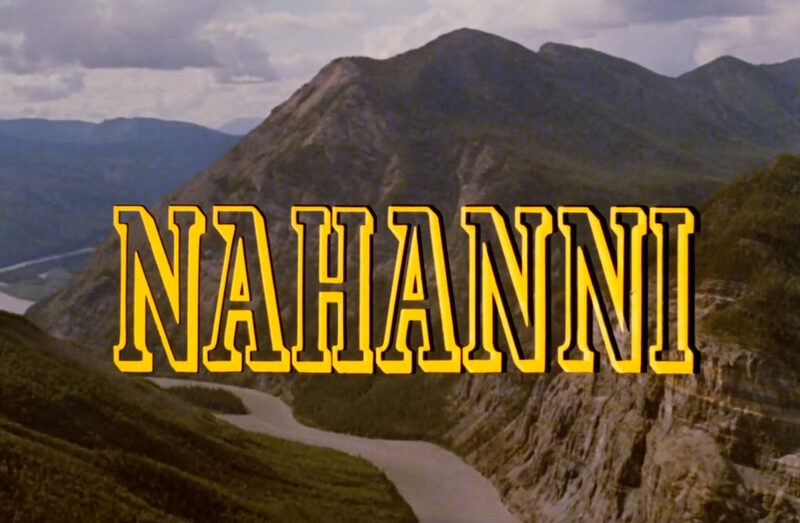 Working as an uncredited co-producer on Nahanni (1962), the striking short is a bit of a tease – it builds ominously towards a payoff that never happens – but as a mood piece, this 18 min. gem is great fun, boasting extraordinary colour photography courtesy of cinematographer-director Donald Wilder, with a stirring score by the NFB’s prolific house composer Eldon Rathburn. Featuring narration by writer William Weintraub and zero dialogue, Nahanni follows silent & stoic Albert Faille as he tries for the 8th time to reach a fabled remote location that contains gold riches. As the narrator’s booming voice proclaims, many have tried to navigate the torrential river and died, and the mystique surrounding the gold is enhanced by tales of Dead Man’s Valley where headless skeletons and assorted bones were found. Drama comes from the constant contrast between the frail septuagenarian who treks solo up river, then engages in portage, carrying the boat’s contents and motor up the mountain to avoid the deadly power of Virginia Falls. Faille isn’t frail; he’s pressurized concentration, and although the camera crew is present, we know he’s survived prior attempts where loss of supplies, a wrecked boat, or personal injury would’ve been a near-death sentence. The opening aerial shots of the snaking river that carved itself through mountains are stunning, and the camera’s often placed alongside Faille, or in several boat shots by the bow, giving us a striking POV of the terrain that evokes some of the classic Cinerama travelogues. Nahanni‘s also available for streaming, and purchase as a digital download in SD and crisp HD from the NFB. It’s also one of many films edited by George Kaczender, future director of U-Turn (1973), In Praise of Older Women (1978), and Pretyykill (1987).